The fourth cocktail in our series highlighting the cocktails to be featured at Spirit of Italy’s Aperitivo Italiano at Tales of the Cocktail is The Disguise. The Disguise combines Amaro Lucano with raspberry liqueur and pinot noir for a cocktail that is both herbaceous and bright. 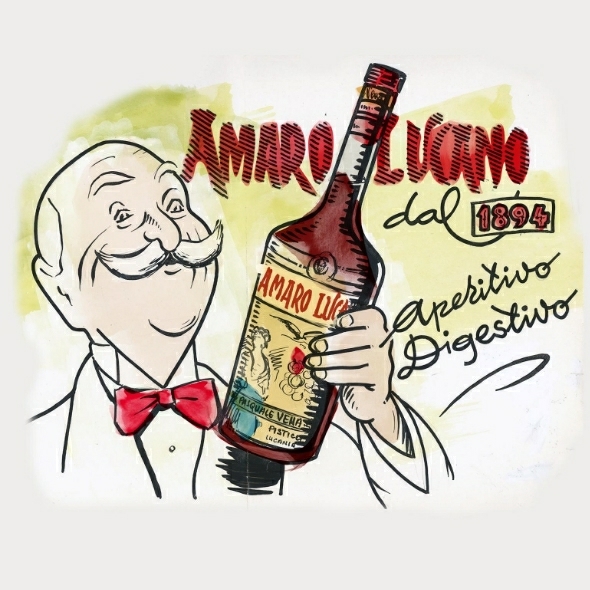 Amaro Lucano is an amaro made with more than 30 herbs and dates back to 1894. This cocktail works beautifully year round and is a must try cocktail at the Spirit of Italy’s Aperitivo Italiano event on Wed 7/17 at Tales of the Cocktail. Method: Roll ingredients with ice. Strain over fresh ice into a wine glass. Garnish: Fresh pineapple pieces and kafir lime leaf. The third cocktail in our series highlighting the cocktails to be featured at Spirit of Italy’s Aperitivo Italiano at Tales of the Cocktail is the Ridotto. Method: Place the sliced strawberries in a mixing glass and muddle. Add the rest of ingredients and shake with ice. Double strain into a cocktail glass. Our next featured cocktail to be found at Spirit of Italy’s Aperitivo Italiano event at Tales of the Cocktail is the Arlecchino cocktail. a highball glass. Stir and serve. Heading to Tales of the Cocktail? Here’s one of the cocktails you can look forward to at the Spirit of Italy’s Aperitivo Italiano event. Method: Mix the ingredients (except the Moscato) in a punch bowl and let it sit for half an hour. Add chilled Moscato and small block of ice, then serve. Garnish: Strawberry slices, pineapple and mandarin wheels. 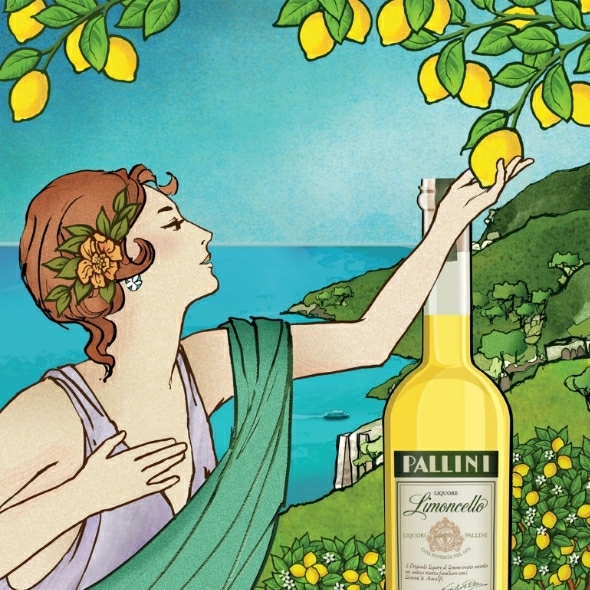 An event Mutineer is looking forward to at Tales of the Cocktail is Aperitivo Italiano. The Fleur De Lis Room at the Royal Sonesta Hotel will be transformed into a Venetian Carnevale with some of Italy’s best bartenders standing at the ready to whet your appetite for all that is to come at Tales. 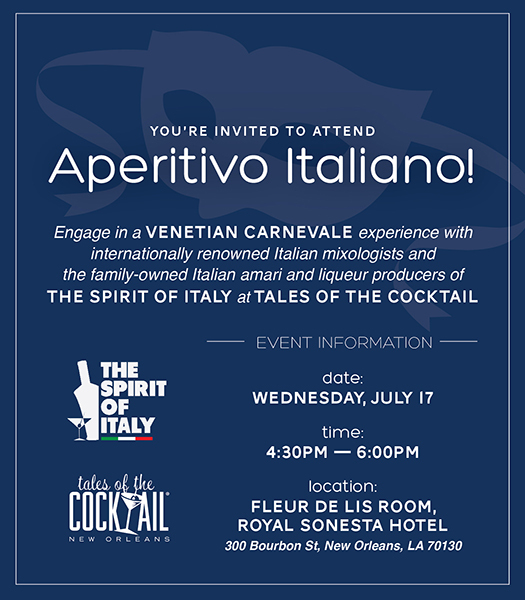 The event is hosted by Spirit of Italy, an organization comprised of eight companies that was founded in 2011 by some of Italy’s finest producers of spirits, amari, liqueurs, and aperitifs who have been in the business for generations. 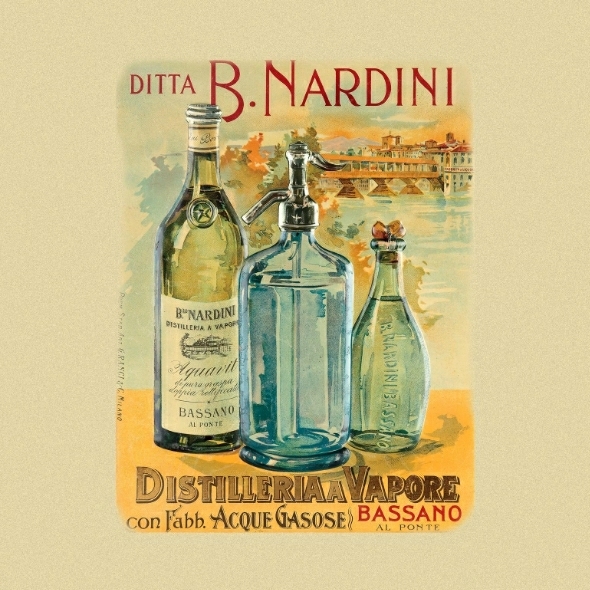 The companies represented include Amaro Lucano, Luxardo, Moccia, Nardini, Pallini, Toschi, Varnelli and Cocchi. In the days leading up to Tales we will highlight a cocktail from each brand. Complimentary Venetian Carnevale masks will be provided to guests. Mutineer Magazine is proud to announce the Luxardo Cocktail Cup, presented by Mutineer Magazine. Bartenders from Austin, Boston, Chicago, Los Angeles, New York, San Francisco, and Seattle will battle it out on their home turf and only one bartender from each city will be selected to fly to San Francisco to represent their city and compete against the other finalists at the Penthouse Bar at Anchor Distilling Company headquarters. Chicago’s Clint Rogers is the reigning Luxardo Cocktail Cup Champion. What’s at stake? 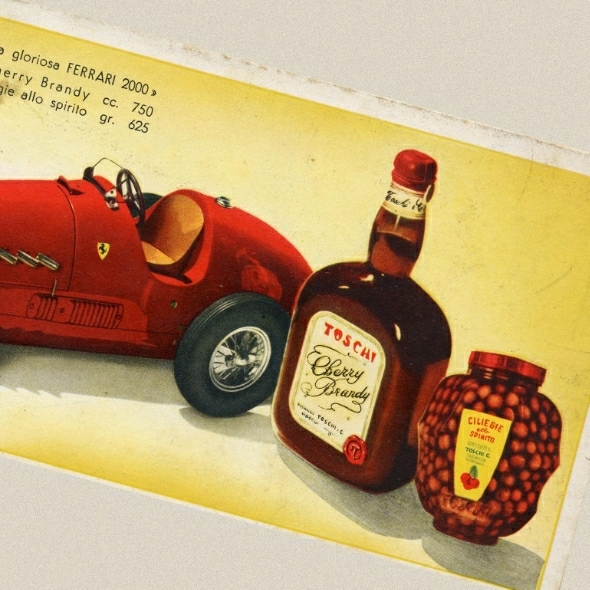 Trip to Italy: The winning bartender will travel to Italy to visit Luxardo. Exposure on Small Screen Network: The winning bartender will be featured preparing their Luxardo cocktail on video to appear on SmallScreenNetwork.com and MutineerMagazine.com. Mutineer Magazine has teamed up with a local judge in each city. Each local judge will select three local semi-finalists in their market from the submitted recipes, using the judging criteria to make their decision. They will then narrow this list to one finalist, who will compete in San Francisco for the finals. New York: Eryn Reece, Death + Co.
Submissions are now being accepted and will be open until 11:59 PM Pacific Standard Time on August 20, 2013. To enter and to view the complete rules, visit the Luxardo Cocktail Cup page. One of the can’t miss events at Tales of the Cocktail is Pig & Punch. Brought to you by our friends at The Bon Vivants, Pig & Punch is now in its fourth year and is a free event, though you are encouraged to buy a t-shirt of which the proceeds are donated to its charity partner New Orleans KIPP Charter Schools. Calling Pig & Punch a party hardly does it justice. It’s more a festival within a festival. One filled with pork, punch, music and games all under the New Orleans sun for an afternoon of community, camaraderie and killer cocktails. 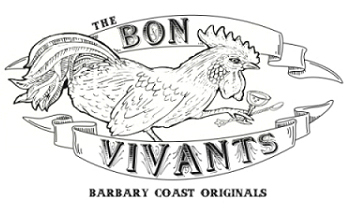 In the spirit of Tales of the Cocktail’s commitment to giving back, The Bon Vivants have once again partnered with New Orleans KIPP Charter Schools to donate both their time during the day of service and the proceeds from the sale of the Pig & Punch t-shirt. Entrance is free so join us, buy a shirt, and get your fill of good food, good drinks and good times at this one-of-a-kind Tales event. For the event page, click here. From everyone here at Mutineer, we hope you have a safe and fun filled Fourth of July with good friends and no shortage of beverages to drink. However, take a cue from Sheriff Andy and be careful out there, especially on the roads tonight. There will be a lot of cops out this evening and a DUI, or worse, isn’t worth it. Grab some local craft beer, wine, or spirits and let’s celebrate America. 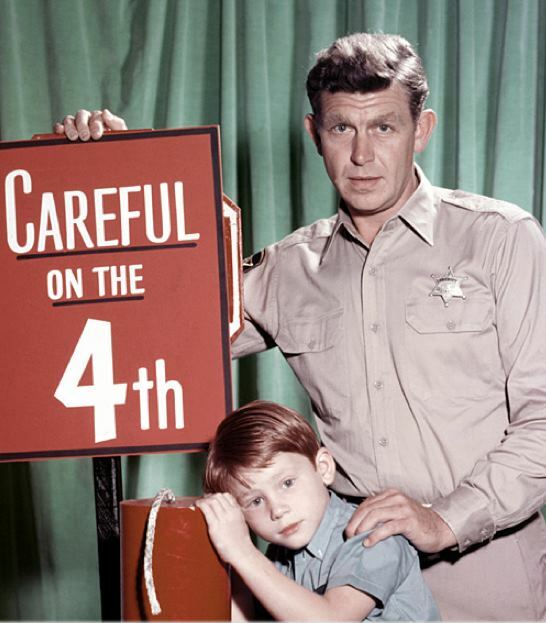 And we can hold one up for Sheriff Andy as well, who died a year ago yesterday and what could be more American than Mayberry?